It has to start somewhere. I am not new to blogging. I have been blogging for over 10 years. My current photography blog has been in publication for 9 years and my wife and I ran a wine blog for a couple of year before that. Blogging is getting to be a little old school, but still, it is an effective method of communication about a topic. I bring all this up because one is tempted to exclaim from the mountain tops, “This is my blog! I am going to say really important things and it is going to__” and then lay down a bunch of ideas of what the blog will be only to have it evolve into something else. I must truly confess, I have ideas for the blog, but honestly, after seeing so many blogs come and go, I think that I will just sit back and relax today and not worry about what it will be tomorrow. 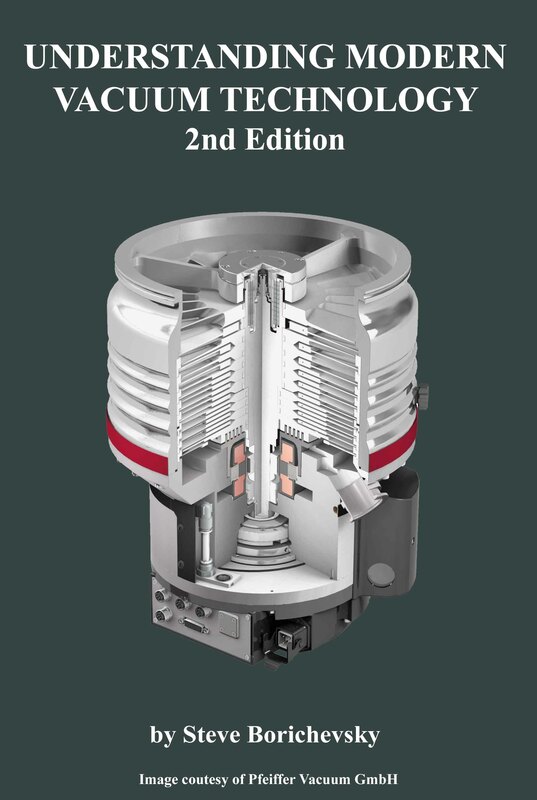 So about this Understanding Modern Vacuum Technology book. I had been toying with the idea of writing a manuscript of the vacuum principles that I use frequently. I have lots of books and references, but every time I want to find that handy-Jim-dandy reference that solved that problem five years ago, I would have to figure out where I found it before. Dushman, 1949, Scientific Foundations of Vacuum Technique, John Wiley & Sons, Inc. So I decided to write my own book. Feeling good about that decision, I put it off for about six years. You don’t want to go rushing into these things, now do you? Then one fine day, or maybe it was during a nor’easter‡ and I was getting cabin fever, I decided that the I just needed to get started on the book and get it done. How long could it take? He was right, but I was thoroughly committed. Sometimes when you are “stuck in a maybe”, you just have to make a decision. I now had my “winter project” to get me through the next season of nor’easters. Oddly enough, the little book has been doing okay. I am surprised at who is reading it. I expected engineers types, but there has been feedback from executives and sales folks in the industry, too. I had a Ph.D student stop me to tell me that it helped her with a problem in her thesis. And all that makes me happy because I know that finding that handy-Jim-dandy reference can be difficult enough for a died-in-the-wool “Torr-head” like me. At least I can make it easier for others. So this is the start of this blog. My next posts will be of more significant content. nor’easter‡: A nor’easter (also northeaster) is a macro-scale cyclone. The name derives from the direction of the strongest winds—as an offshore air mass rotates counterclockwise, winds tend to blow northeast-to-southwest over the region covered by the northwest quadrant of the cyclone.